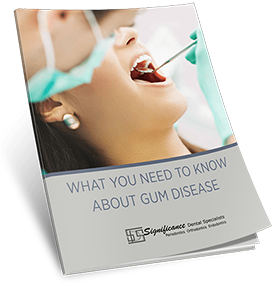 The first stage of gum disease is gingivitis. Gingivitis in Las Vegas, NV results from a buildup of plaque at the gum line. If plaque is not cleared away with regular brushing and flossing, it can cause the gums to become inflamed. Bacteria will then accumulate in the plaque and will infect your gum tissue, resulting in gingivitis. Symptoms of gingivitis include bleeding and swollen gums with bad breath. At this stage, no permanent damage has been done. When gingivitis in Las Vegas, NV is allowed to progress, it becomes periodontitis. 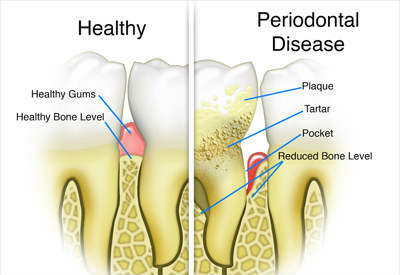 Periodontitis in Las Vegas, NV is the second stage of gum disease. At this point, the infection causes your gum tissue to widen and pull away from the teeth, creating pockets. These pockets can collect more plaque, bacteria, and even food particles. 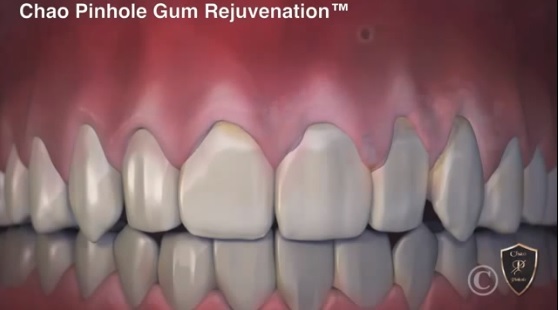 The gum tissue recedes, exposing more of your tooth while the connective fiber and bone that support your teeth suffer damage. Advanced periodontitis is the third and final stage of gum disease. This stage is marked by loose teeth, tooth loss, and bone deterioration. Loose teeth are a cumulative result of the damage done to the connective fibers and bone. Without the proper support, your teeth will begin to shift in your mouth. 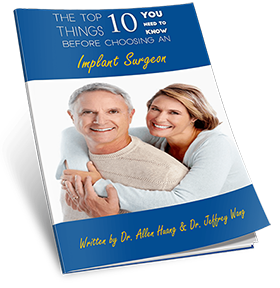 As your teeth move out of alignment, additional symptoms of pain and discomfort may occur. Without treatment, teeth will likely be lost. Identifying the symptoms of gum disease and seeking treatment early on is critical to the health of your teeth, gums, and jaw bone. 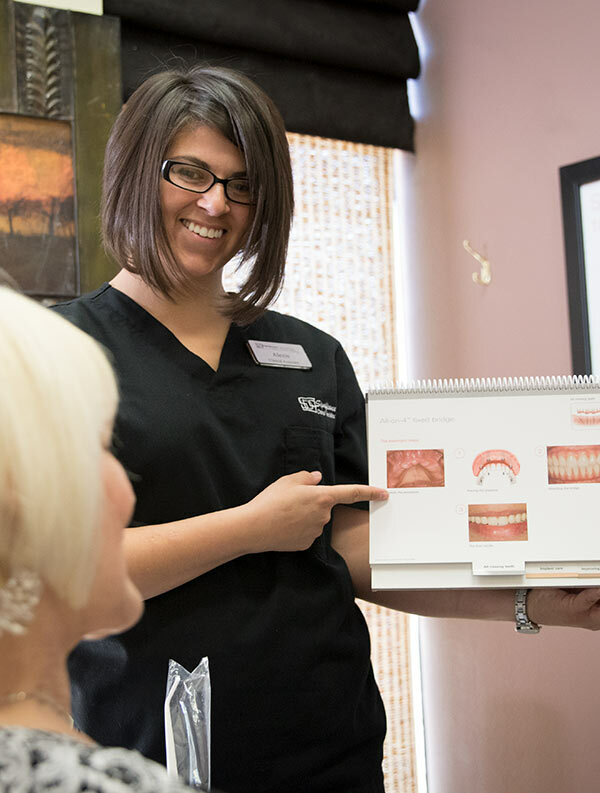 Gum disease stages can affect how much or what level of procedure.